What should foreigners do if they are to get VAT (value-added tax) refunds for commodities bought domestically? It’s not easy for a foreigner to get a tax refund. He or she must receive a tax refund slip at the time of purchase and have his or her commodity carry-out report confirmed by presenting a passport at the customs house at the time of departure. He or she could get a tax refund only after queuing at refund counters. It’s hard to simplify this complicated procedure though. That’s because authorities have to verify if the visitors are truly foreigners and what kinds of commodities they want to have tax refunded. Yet it’s possible to simplify the procedure if transparency, one of blockchain technology’s strong aspects, is exploited. “Consensus” in the blockchain network could replace the confirmation procedure and customs houses and franchisees could be “nodes” as participants in the blockchain network. The blockchain-powered Jeju tax refund project is implemented as follows. A foreign tourist downloads the EB Wallet application at his or her mobile phone and registers a passport with the app. This registration replaces the process of confirming the passport at the customs house. If tourists buy goods at franchisees via fiat currencies or credit cards, then verification procedures at the customs house and franchisees will be carried out in the Ethereum blockchain network. Taxes refunded according to the verifications will be paid via EBCoin and loaded onto the wallet. Then one cannot but wonder. If taxes are refunded as EBCoin, the value of refunded taxes could change in the future according to the fluctuating value of EBCoin. But Han says refunded taxes can be withdrawn at once through kiosks in Jeju if they are secured by credit cards. In other words, visitors can exchange EBCoin whenever they want before the value changes greatly. 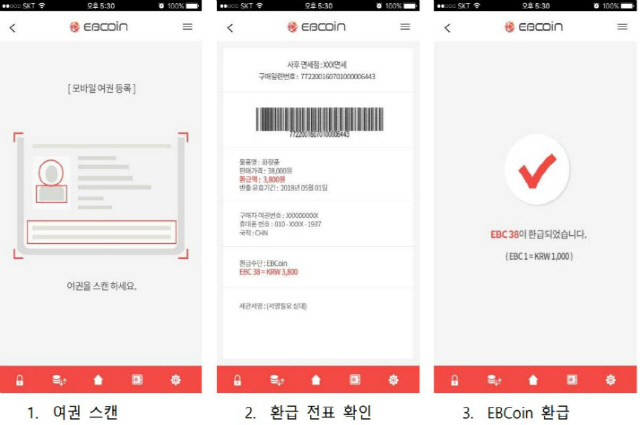 In case of not using kiosks, they can use EBCoin as soon as they clear customs. 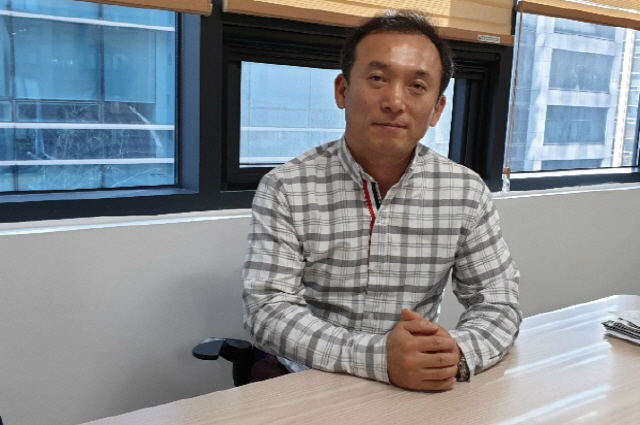 “At the time of clearing customs, the lock on EBCoin in the wallet is released and visitors can use coins freely at the duty-free shops of Jeju Airport,” Han said. What EBC Foundation aims for through the blockchain-based tax refund project is the “evolution of payment methods.” “Cash payments yielded to credit cards and credit cards yielded to mobile payments. ECB Foundation believes the blockchain-based payment scheme to be the next payment solution,” Han said.